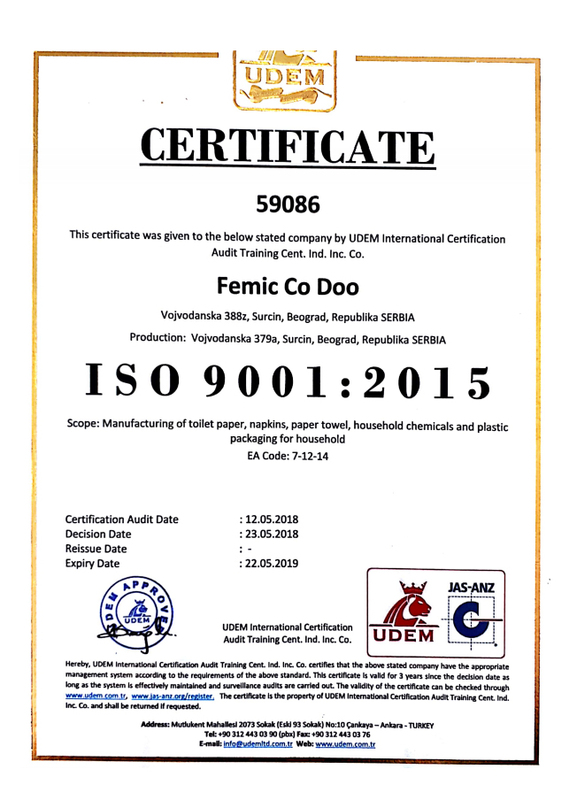 Main activity of Femić doo company, which has been successfully operating since 2006th, is production, distribution and wholesale of high-quality paper products, as well as the wholesale of consumer goods. 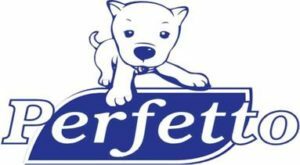 Since the very beginning until now our company has recorded constant growth, and we have been especially known by our toilet paper brands PERFETTO and WIPEX. 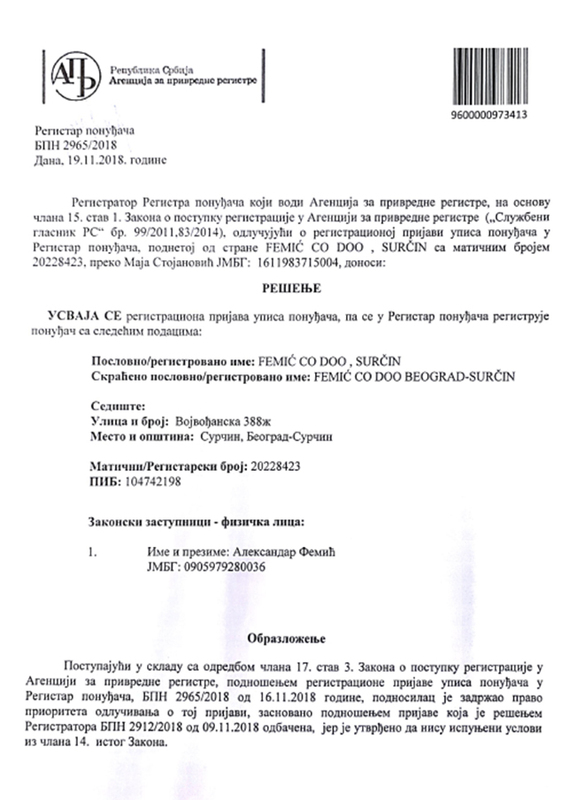 Company is registered in the Business Registers Agency in the register of bidders. 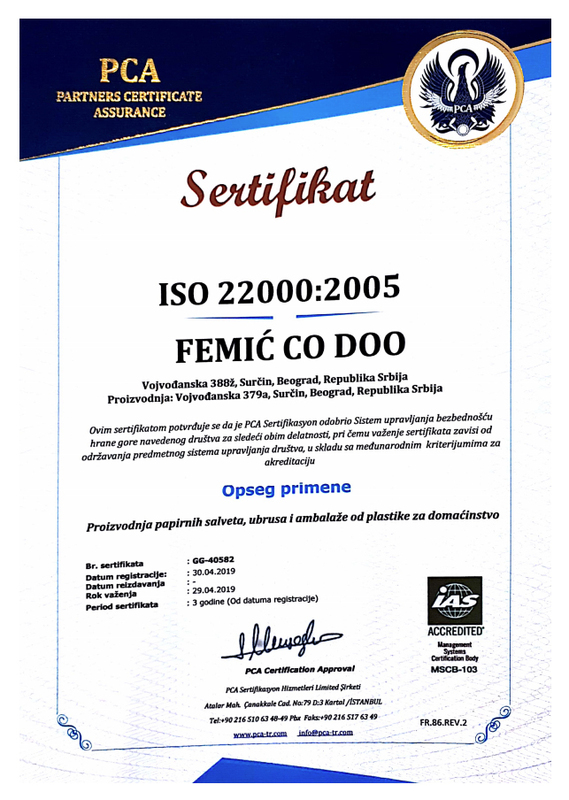 Femić Co has the following certificates: ISO 22000:2005, ISO 9001:2015, ISO 14001:2015 and HAACP. Our company offers a wide range of products for different segments of consumers: restaurants, hotels, cafés, public institutions (health facilities, educational institutions, airports, public toilets, etc. ), small, medium and large companies. 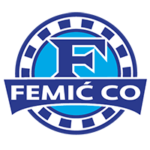 Thanks to our company’s developed logistics center we provide fast and efficient distribution of goods to customers such as wholesalers, supermarkets, restaurants, hotels, etc. 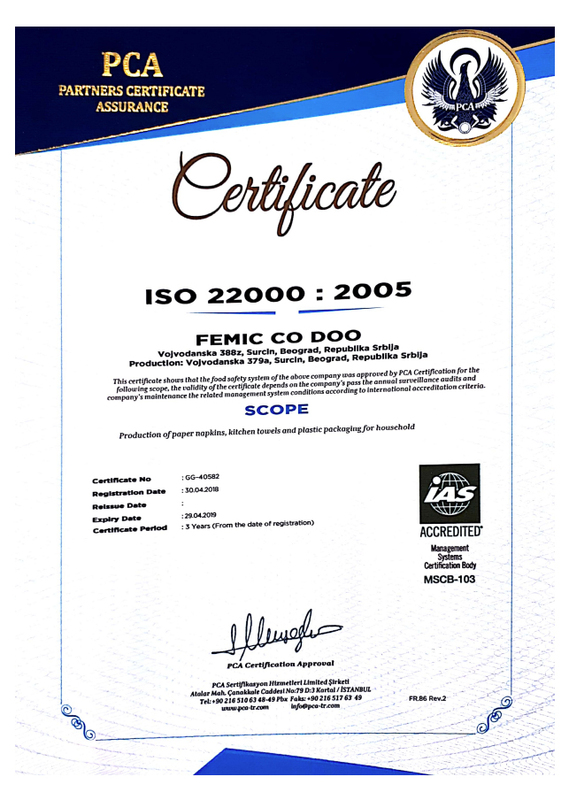 There is always a required amount of products in our stock, which enables us to successfully cooperate with a large number of clients, who warmly recommend us. 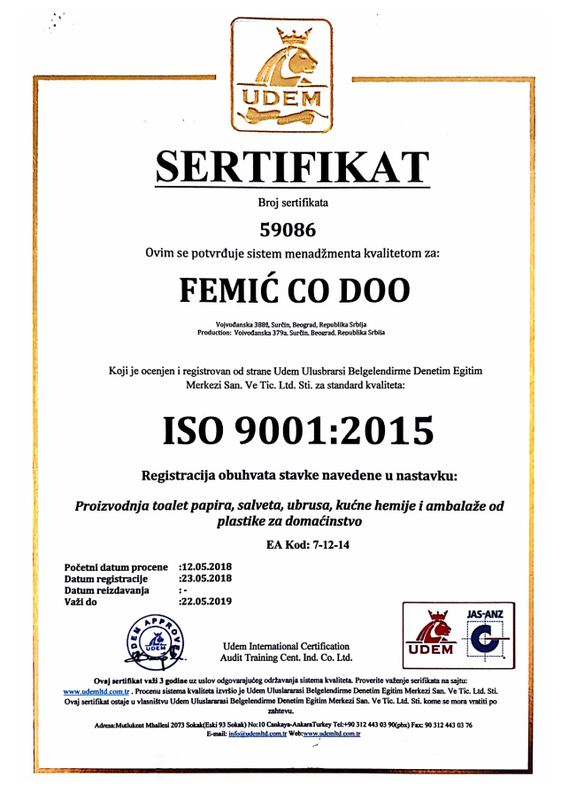 In order of continuous improvement of the quality of our products, in 2015th we opened a new production hall which has tripled the production capacity. 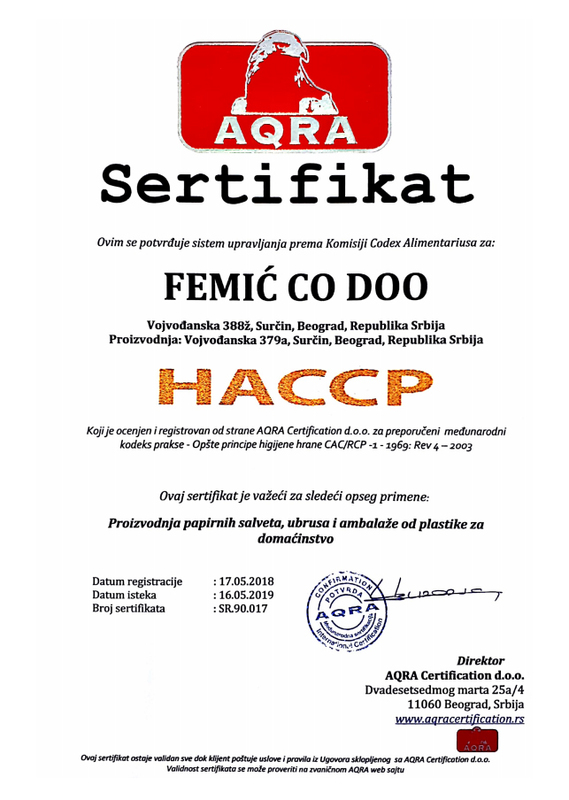 Our products are present in all parts of Serbia, and we also export to countries all over Europe: Montenegro, Bosnia and Herzegovina, Croatia, Kosovo, Lithuania.Crna Gora, Bosna i Hercegovina, Hrvatska, Kosovo, Litvanija. 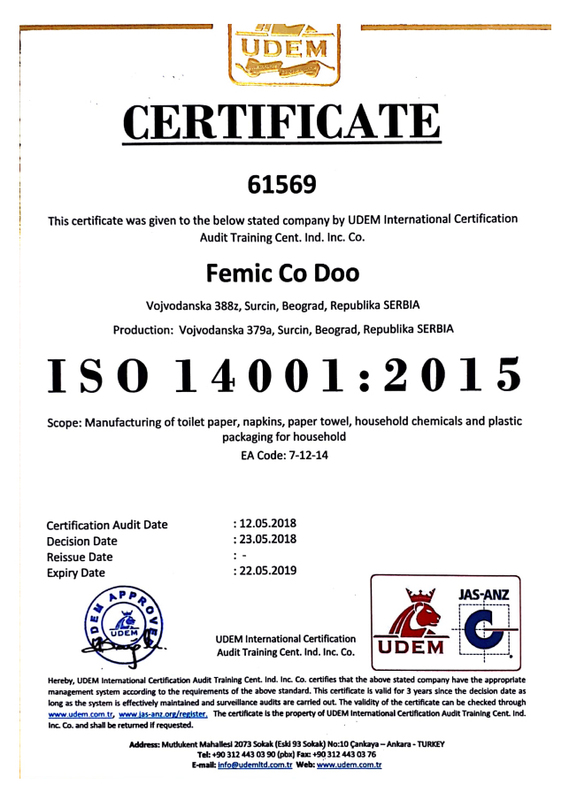 The mission of Femić Co is constant investment and improvement of our employees to assure the constant progress of the company for toilet paper production in Belgrade. 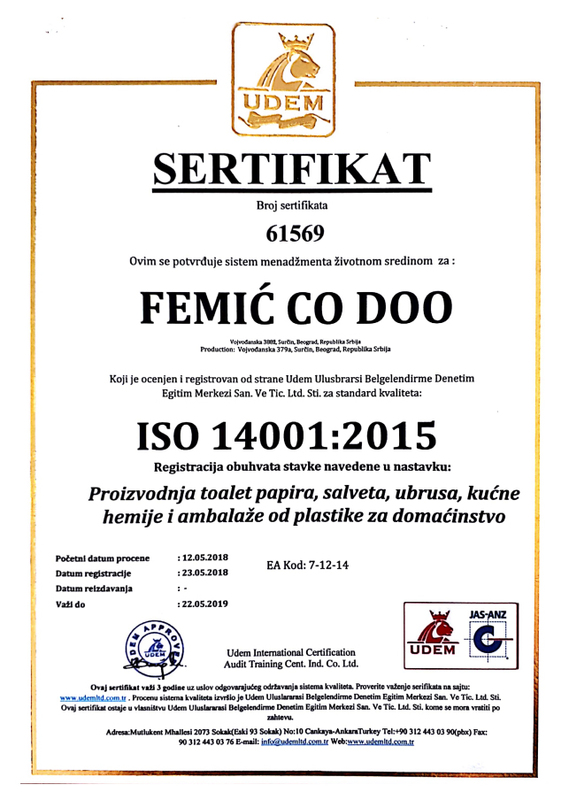 The vision of our company is to improve business in Serbia when it comes to the activity of toilet paper production.